All of these ratings are for the first annual airing of each special. Some of these (particularly A Charlie Brown Christmas) are run multiple times per year, but airings beyond the first are not included above. 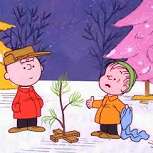 Most of these specials are only 30 minutes, so the one-hour telecasts are actually a combination of the beloved special with another lesser-known Peanuts special.